When it comes to animals and pregnancy, common wisdom, superstition, family tradition and science seem to clash. Is it dangerous to have a cat around a pregnant woman? Can raising a dog before you have a child prepare you for parenthood? Will a furry friend help prevent anxiety and even postpartum depression? Do you have to get rid of your animal companion once the baby arrives? Sorting truth from fiction can be maddening, but we’re here to help. To break it down, let’s examine each question. 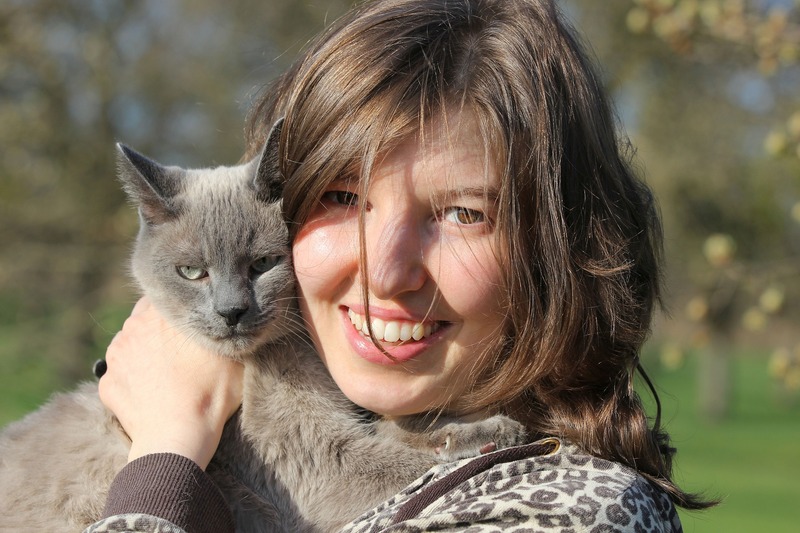 · Cats and Pregnant Women. While there needs to be some precautions, the myth that cats endanger babies is nonsense. The most important thing to avoid is changing cat litter. Outdoor cats can carry the toxoplasmosis parasite in their feces from eating raw meat. This also makes it a good idea to wear gloves if you garden and avoid eating undercooked pork, lamb or venison. As for cuddling with Fluffy—that’s perfectly fine and studies show stroking his fur can help release hormones that can help calm the nervous system. · Dog as Practice Baby. Could caring for a pet with your spouse count as practice for parenthood? The Chicago Tribune explored this question and the results seemed to be mixed. While sharing a companion animal can enhance bonding and sensitivity and reveal reliability, children are more work than animals. Having a dog in your lives can revealhow you settle conflicts and deal with demands, but even a high-need animal doesn’t require the same level of supervision as an infant. There are better ways to see if you’ll be compatible as parents than taking in a dog—and none of them require going for walks in the rain after dark. · The Animal Therapist. Therapeutic animals seem to be everywhere these days. Who hasn’t heard stories of people bringing cats, dogs, guinea pigs, iguanas and even turkeys as pet companions on public transportation? But do they really help? According to this report on NPR, they do. The National Institutes of Health is even conducting a federal research program to study human-animal interaction. 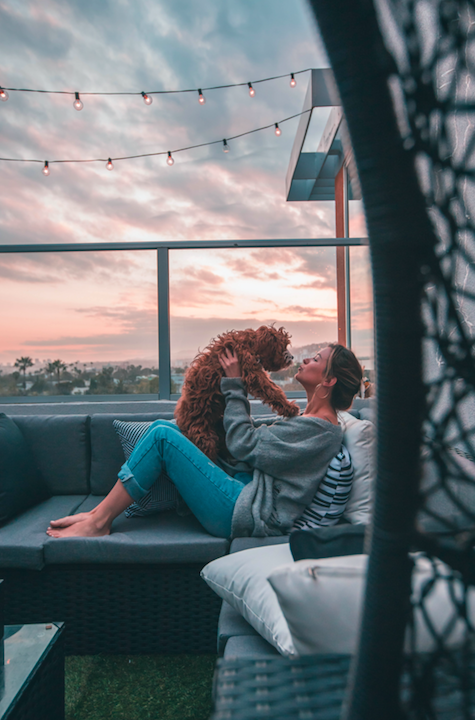 According to researchers, there are many ways that an animal can be therapeutic, including helping subjects relax, become more open in talk therapy, calming anxiety through the secretion of oxytocin, and providing a happy distraction. · Are Rover and Daisy Safe for Baby? New parents are often surprised once the baby arrives that the animals take a back seat—but is it a good idea to let them stay in the home? According to “dog whisperer” Cesar Milan, there are things you can do to ease the transition and support safety with your dog. 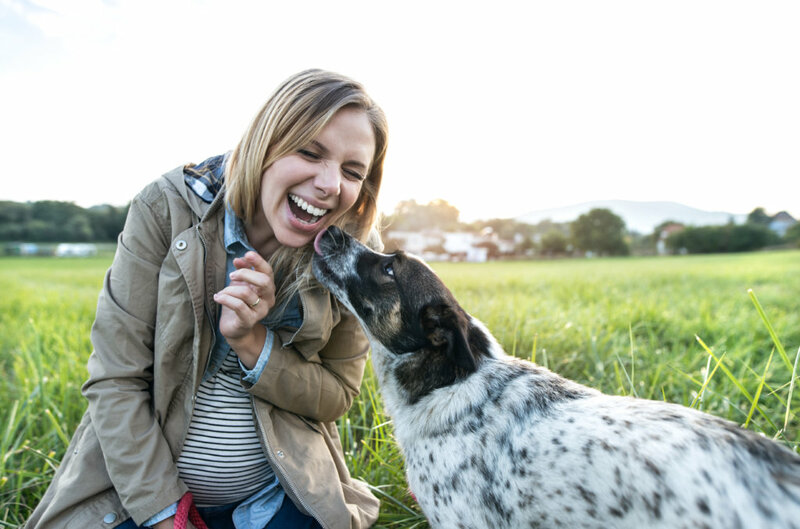 Most important is establishing boundaries before the baby arrives and remaining aware that your dog will mirror your emotions while pregnant. If necessary, hire an experienced trainer to help smooth the transition. Bottom line: Having a pet during pregnancy can help with relaxation response, lower anxiety, provide comfort, and act as a catalyst in the therapy process, according to UCLA Health. 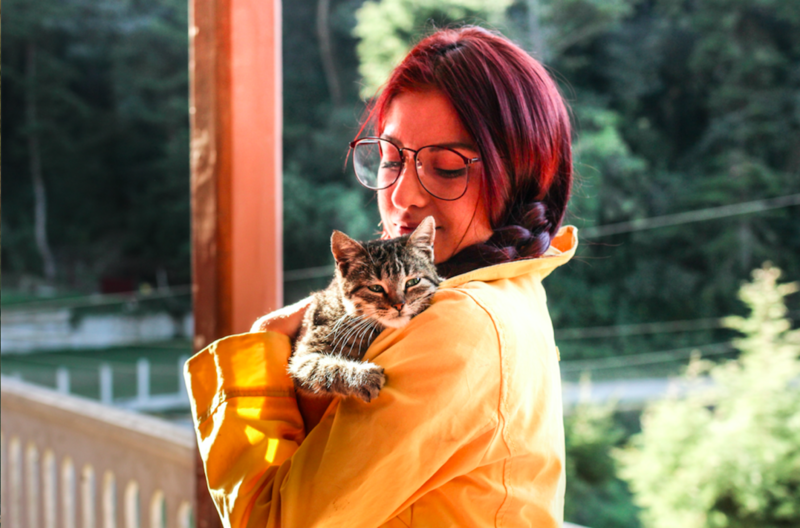 By taking a few simple precautions, your pet can be a comfort to parents as well as new offspring and offer emotional support when facing depression and/or anxiety.